Don’t know that many people (at least in Cyprus anyway), who will remember 2013 as a stellar year. From my point of view it was pretty horrible all around. As I glimpse back over the last 12 months, my only escape from the depressing events that occurred (not just economy-wise, but also at a personal level), was my love for photography. For this last blog post of 2013, I won’t bother you with the details of how well I did against my New Year resolutions. Suffice to say that I succeeded to a great extent, somewhat failing at my goal of further exploring Cyprus. 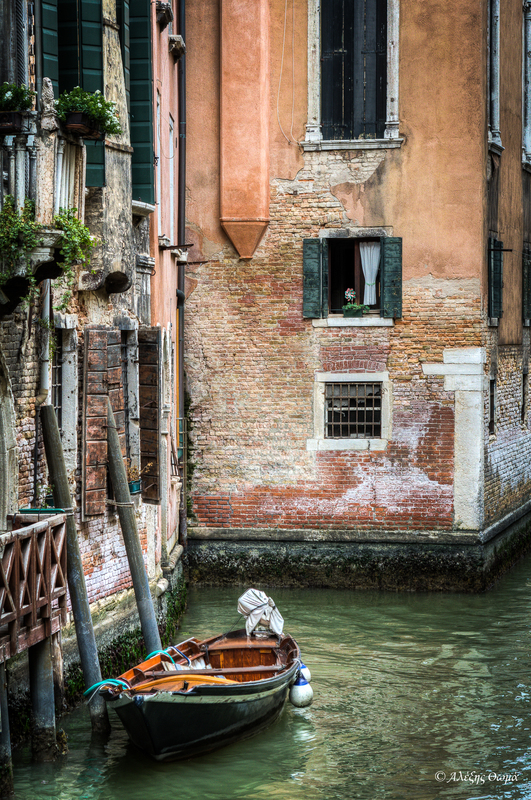 Ironically, the image below attests to just that – the ease with which one can find great photo opportunities when travelling abroad (in this case Venice) vs. within their own home country. Something that definitely needs to be addressed next year! I want to wish everyone a Happy and Prosperous New Year 2014, with happiness and health to you and your loved ones. See you in January! Shot with my Canon 60D and Canon 24-70mm F2.8L lens at ISO 400, F8.0 and 1/80sec. Most photographers are suckers for a good sunset picture…and admittedly I am no different. What’s great about a sunset (and sunrises alike), is that during these so-called golden hours, the light is more diffuse thus reducing the hard shadows you would normally get in mid day. The colours also are much warmer, especially during twilight, and when combined with an interesting background (such as a cloudy sky), it makes landscape photographs even more compelling. Getting a good one is no easy feat however. This is one of my many attempts at getting a decent sunset during my recent trip to Venice, Italy. Not sure I managed to get it right, especially given that I had no tripod and my camera had to rest on the side of a bridge! Taken with my Canon 60D and Sigma 10-20mm F4-5.6 DC HSM lens, at ISO 200, F8.0 @ 6 secs (bracketed at -2/0/+2). 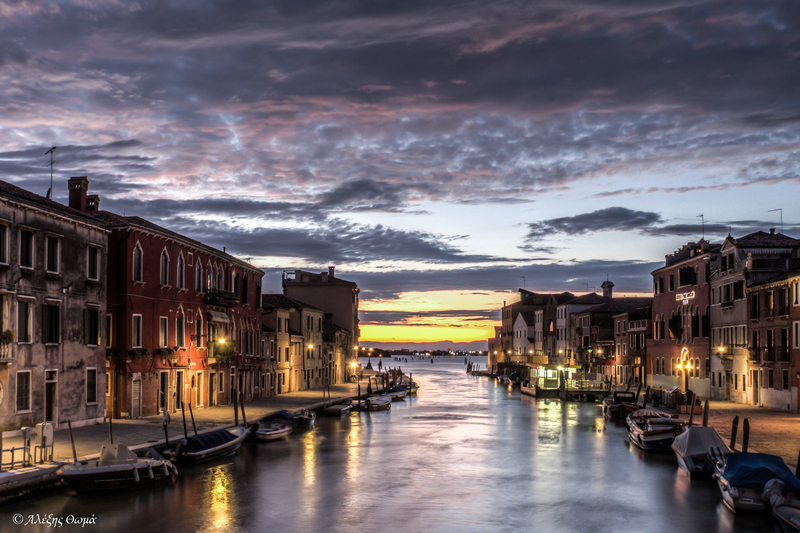 Just north east of Venice, and only a few minutes away on the Vaporetto, is the island of Murano. This island is world famous for its glass making, and while there I had the chance to witness first hand the skills of the local artisans, by attending one of the many shows that were available for the visiting tourists. I am not big on souvenirs, because I truly believe that the best memento I can get from any place I visit, is a decent selection of photographs showcasing the best the region has to offer. I did however break my rule this time around, when I walked into one of the many glass shops and saw this tiny perfume bottle. Believe me when I say that I have no practical use for this bottle, but what compelled me to purchase it was my immediate thought of photographing it with smoke coming out of its nozzle! For me this isn’t really a new idea, as I have tried smoke photography before with a coffee cup and a cow milk container (see link). Nonetheless, here is yet another attempt, the final result of which is fairly close to what I initially had in mind. 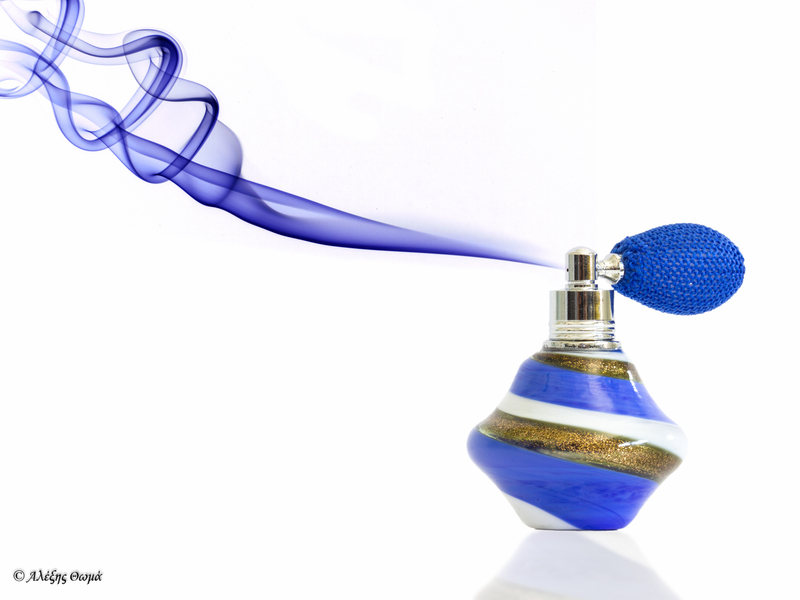 This is a composite of two separate photographs – one of the smoke and one of the actual bottle. Smoke: Taken with my handheld Canon 60D and Canon 24-70mm F2.8L lens at ISO 100, F13, 1/250th of a sec.